Made of Cotton + Polyester,high quality and comfortable to wear, tailor-made, fit you best. 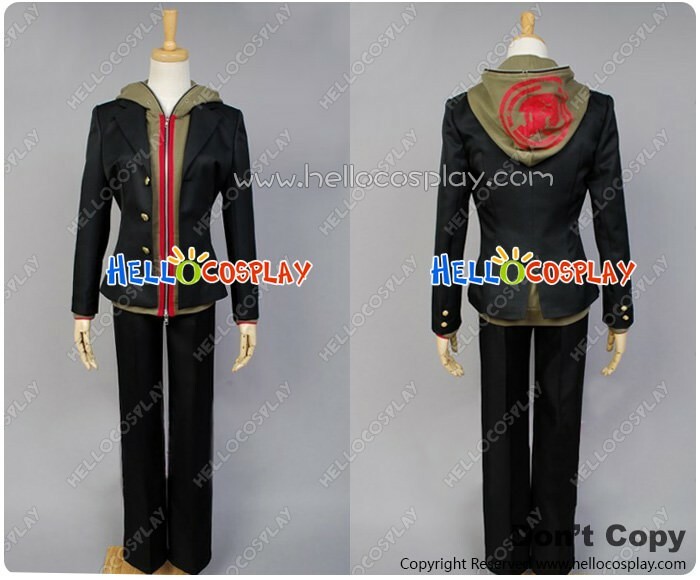 The costume is accurate designed, exquisite in details, made according to the original version, great for Makoto Naegi Cosplay. Makoto Naegi (苗木 誠 Naegi Makoto?) is the protagonist. An ordinary high school student who was accepted to the academy by raffle. He has no spectacular talents, aside from his belief that he is a bit more optimistic than most people, and was given the title of Ultimate Lucky Student (超高校級の「幸運」 Chō-kōkō-kyū no "Kōun"?, Super High School Level Good Luck) due to winning the lottery, though ironically, he often falls prey to bad luck more often than not.